Question: What is request module? Request is designed to be the simplest way possible to make http/https calls. Question: How to install request module? 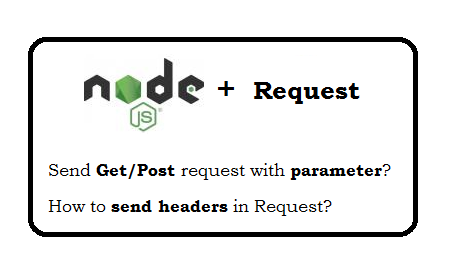 Question: How to include request module in node project? Question: Give example of GET http call? Question: Give example of POST http call with parameter? Question: How to send custom header with post method? Question: How to set cookie with request?